If you think of Reggae music, one name instantly comes to mind. He had such a distinctive sound that he popularized Reggae music all over the world. Of course he wasn’t the only Reggae artist, he was just the most popular and well known. Yesterday was International Reggae Day, a day that celebrates this Jamaican music style, and brings it to those unfortunates in the world who have yet to experience it. This year also marks 50 years since reggae’s recognition as a music genre that began in 1968. 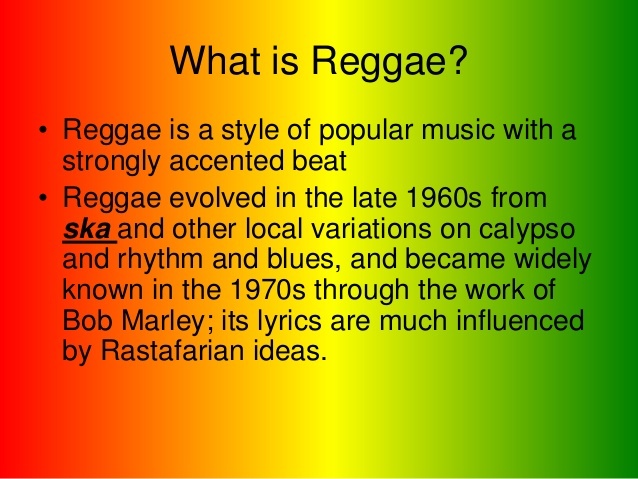 Reggae music… a musical style with deep spiritual roots and an august history in Ska and rocksteady music. You can’t march to it, you can’t couple-dance to it, it makes you move, but it doesn’t make you go anywhere. It is the most chill anarchist music you will ever hear. Yes, fight the establishment but with love and kindness and fun! You can’t help but be happy when you hear it – but it does have a message. 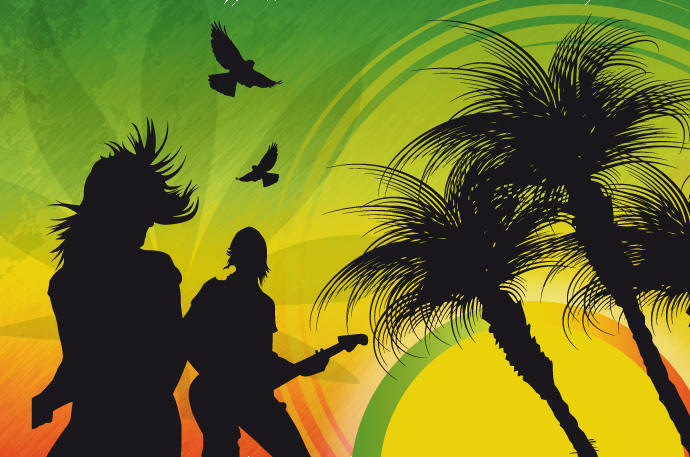 The perfect mix of rock, hip-hop, jazz and everything we love about the tropics all mixed into a genre of music. It is derived from “ska,” a type of music popularized in Jamaica in the late ’50s’ and early ’60s. Its distinctive bass- and drum-heavy songs are the opposite of the typical guitar-heavy songs of rock. The Windrush was the first of many ships that carried hundreds of Jamaicans to help with the rebuilding of the United Kingdom (UK) in the aftermath of the Second World War. Large-scale Caribbean migration to England recommenced following the Second World War in 1948. The Empire Windrush carried almost 500 passengers from Jamaica and with them came ska, the pre-cursor to reggae. For the sons and daughters of the Windrush generation, reggae became an underground code of defiance, part of the quest for selfhood. Wherever there were significant African Caribbean communities in the UK, Sound System deejays used the Reggae dance hall arena as an alternate site of learning. In the mid-1960s Jamaican musicians dramatically slowed the tempo of ska, whose energetic rhythms reflected the optimism that had heralded Jamaica’s independence from Britain in 1962. In the 1970s reggae, like ska before it, spread to the United Kingdom, where a mixture of Jamaican immigrants and native-born Britons forged a reggae movement that produced artists such as Aswad, Steel Pulse, UB40, and performance poet Linton Kwesi Johnson. Reggae was embraced in the United States largely through the work of Marley—both directly and indirectly (the latter as a result of Eric Clapton’s popular cover version of Marley’s “I Shot the Sheriff” in 1974). Marley’s career illustrates the way reggae was repackaged to suit a rock market whose patrons had used marijuana and were curious about the music that sanctified it. Fusion with other genres was an inevitable consequence of the music’s globalization and incorporation into the multinational entertainment. Rastafari, sometimes termed Rastafarianism, is a religion that developed in Jamaica during the 1930s of which ska and reggae play a big part. A religious movement and a social movement, Rastafari began among the poor Afro-Jamaican communities. Believing in an Afrocentric theology, it was a reaction against Jamaica’s then- dominant British culture. Rastafari refer to their beliefs, which are based on a specific interpretation of the Bible, as “Rastalogy”. Central is a monotheistic belief in a single God—referred to as Jah—who partially resides within each individual. Rastas place emphasis on what they regard as living ‘naturally’, adhering to ital dietary requirements, allowing their hair to form into dreadlocks, and following patriarchal gender roles. Reggae music is what took Rastafari to the world and Rastafari took Reggae music to the world. Bob Marley and the Wailers were the vehicle to take Reggae music and Rastafari to the world. Today Rastafarian’s most popular symbol is Bob Marley, who died of cancer in 1981 at age 36. His influence on the music is still strong and many members of his family are now reggae artists themselves. He is known as the King of Reggae. 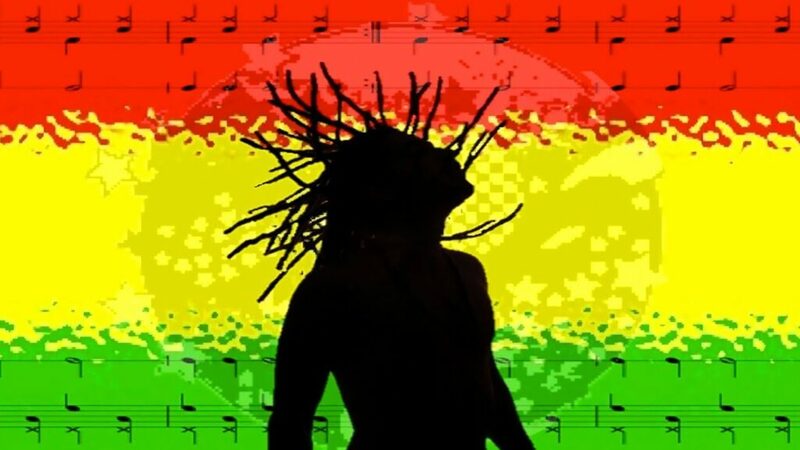 Reggae music just has a quality that just makes you want to sing and be happy. When you hear it bumping out of speakers on a sunny day, all you want to is dance. And that’s something we all need a little bit more of in our lives. What’s your favorite Reggae song? Let’s talk about it on Facebook,Twitter, and Instagram.